Your credit is an intregral part of the loan application process. There are standards that the mortgage industry uses in their assessment of loan applications, including credit history, bill payment history, and your credit score. Here, we can help you understand the basics of credit. The mortgage process involves a variety of steps from start to finish. Lenders have standards in place for approval of mortgage applications, and need specific information in order to submit a mortgage application. 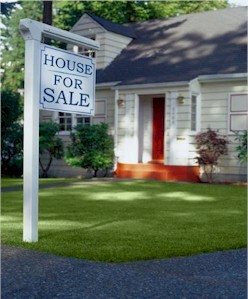 There are a selection of choices available to borrowers to finance the loan. We can be a source for you to understand the mortgage application process. A reverse mortgage is available to older homeowners who may want to use the equity in their home as a source of income. These programs can be beneficial for the individual, but have certain restrictions in order to be eligible. We have the information you need to help you to understand reverse mortgages. Various grant programs are available throughout Montgomery County to assist eligible applicants in home ownership or home repair. Funds are limited and program eligibility/application processes differ per program. Learn more about available grants in Montgomery County.